The setting, Los Angeles. The timing, the third week of March 2017. During this time of year, California flowers are blooming and the weather is a comfortable 69 degrees Fahrenheit (20.5 Celsius). 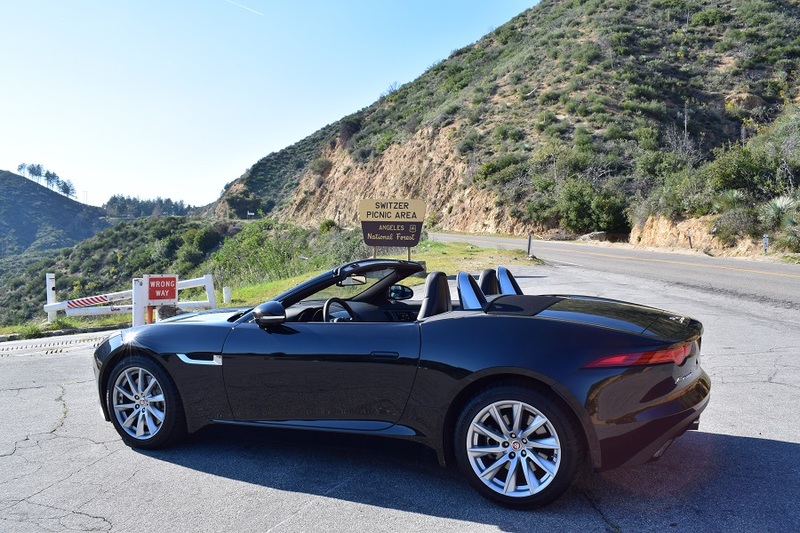 The weather is glorious, the atmosphere is charged with hormonal spring breakers, add the Jaguar F-Type I rented with the help of the Sixt app into the equation, and the expectation is set to be an epic drive. Book the F-Type two months in advance and you can expect to pay as low as $90.66 a day. March is also a great time to go to Los Angeles since it is not peak vacation season. Below you will find the invoice details for the rental. Due to the error of Sixt and their computer systems, I was left hassled and without the car I specifically prepaid for months in advanced. As a consolation, the staff upgraded me to a BMW 640i Convertible. To a non-enthusiast, both cars are visibly convertibles and that may be enough, but one is not like the other. The driving dynamics of the 640i is a cruiser: comfortable, compliant, and composed. I also received a $45.33 discount since Sixt managed to not have the Jaguar F-Type when I arrived. 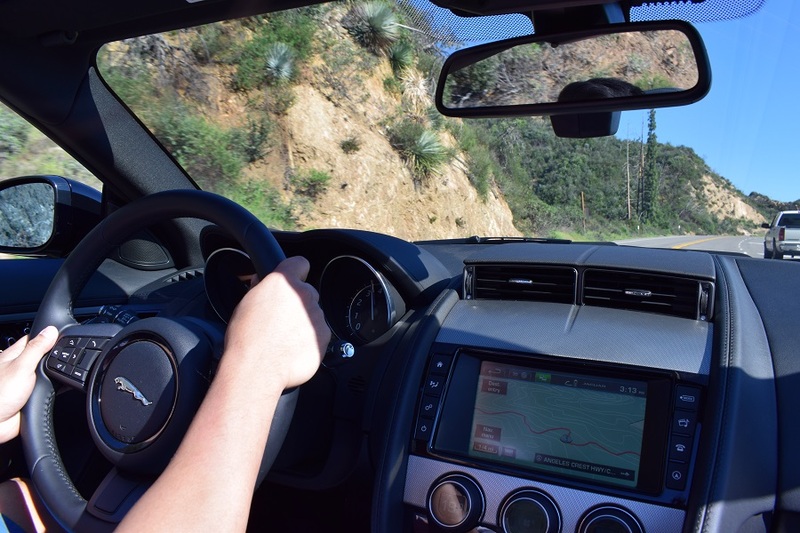 This specific trip was to experience the F-Type and its sharp handling capabilities through San Gabriel mountains. I drove the following day through 114 minutes worth of LA traffic in the 640i, to exchange it for the F-Type. In the end, the situation worked out since the 640i exudes luxury through stop and go traffic. 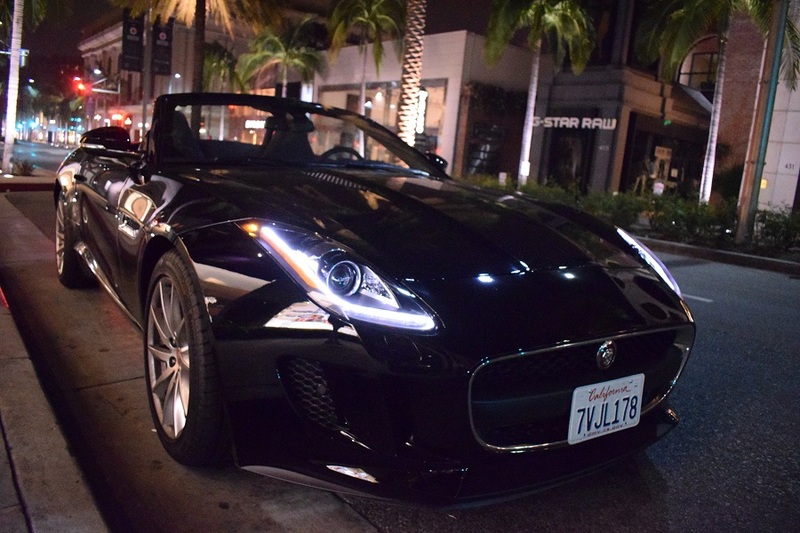 The F-Type was initially launched in 2013 and every review has been extremely positive. Four years later in 2017 and the reviews are still positive. With the base V6 model, an amateur driver can traverse through mountain roads with ease. At 340 Horsepower, the car is plenty of fun without being too much to handle. Also, there is no other stock 6 cylinder engine that provides a dramatic symphony of bellows, combustion, and exhaust crackles quite the same way this engine/exhaust combo does. On mountain roads and on the track, the F-Type will enable you to drive for hours at a time with a smile plastered across your face. 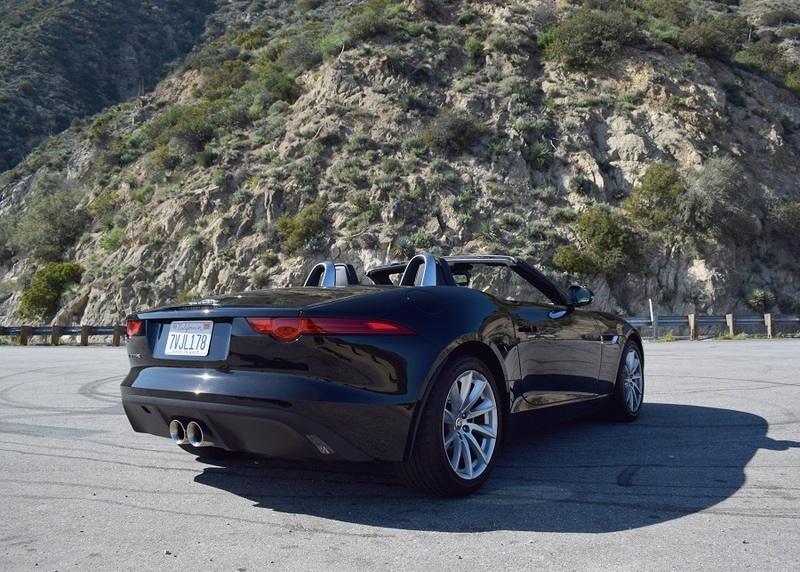 With the base model, the F-Type is definitely a weekend car. Driving through LA’s stop and go traffic for 4 days was a harsh experience. The rental only had 1,541 miles (2479.9 kilometers) on the odometer, but the suspension felt as if it was much older. The suspension was too stiff, the seats were too hard, and the brakes were overly strong in normal traffic. You can try to ease on the brakes, even place a soft caress with your foot on the pedal; even with sensitive input, you will still manage to make your neck break forward, then back onto the headrest. 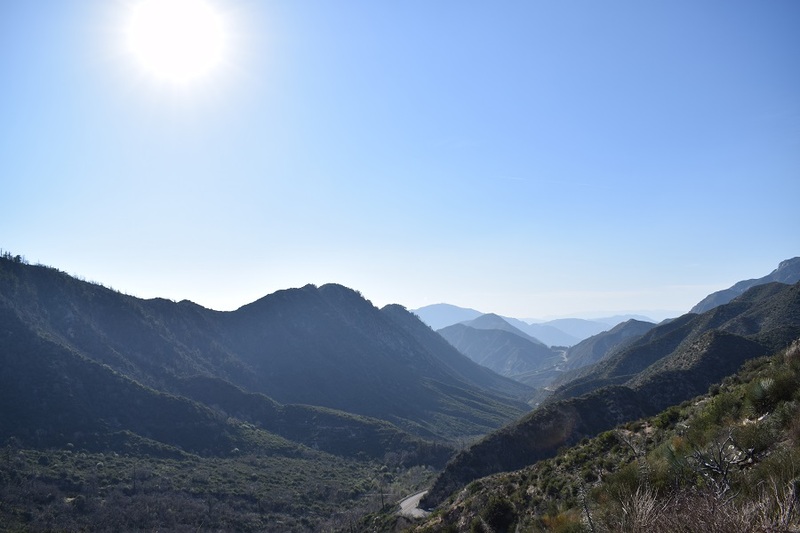 One of the best roads within Los Angeles. Check out the map on the center screen. A beautiful fixture among the high end stores of Rodeo Drive. You’ll rarely find the F-Type on the road, so you can expect to be an original among the sea of BMWs and Porsches. When driving through town, pedestrians will do a double take as you drive by. 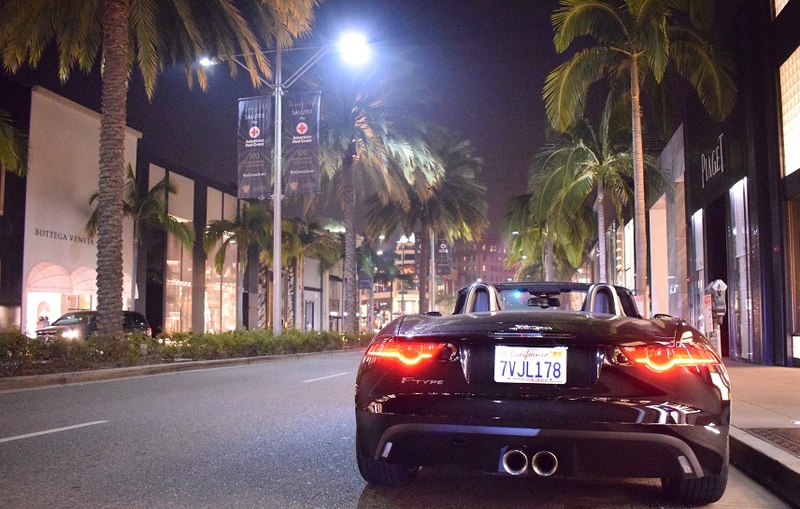 When parked, people will snap a selfie next to the F-Type. There’s no denying the car is beautiful, but you have to be truly in love with its looks to live with the F-Type flaws. Next article Is Corvette Making A Cayenne Killer? Is Corvette Making A Cayenne Killer?